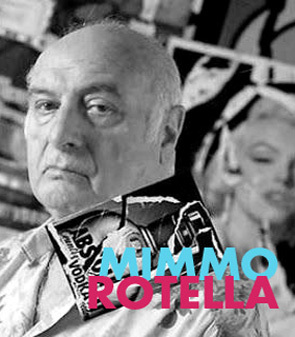 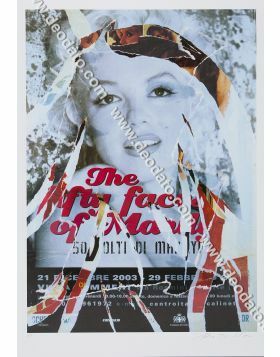 Décollage by Mimmo Rotella from the book "Marilyn Bellezza Eterna" (Marilyn Eternal Beauty) by Mimmo Rotella and Alda Merini. 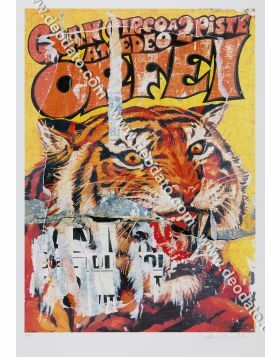 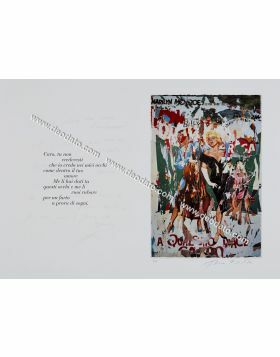 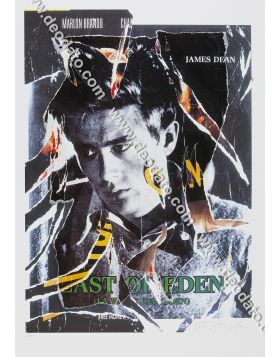 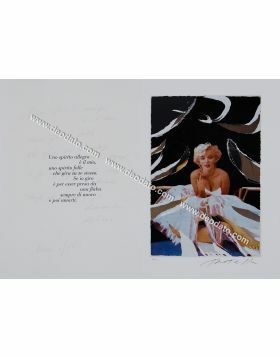 This famous décollage in accompanied by an Alda Merini's inedited piece of poetry, like all the other Décollages of the book, edited in 199 copies, all signed and numbered. 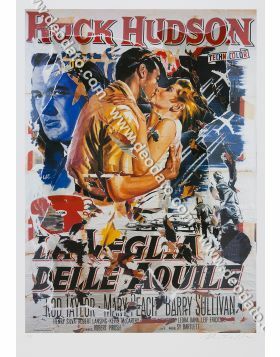 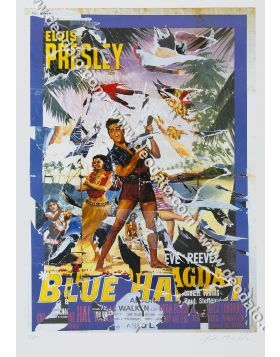 "La magnifica preda" (River of No Return) is a famous film of 1954 in which a marvelous Marilyn Monroe is a beautiful singer in a western saloon, next to the actor Robert Mitchum. 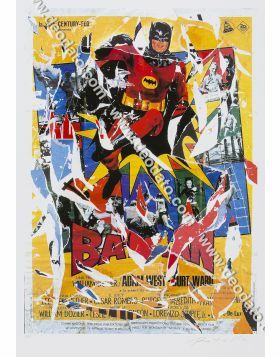 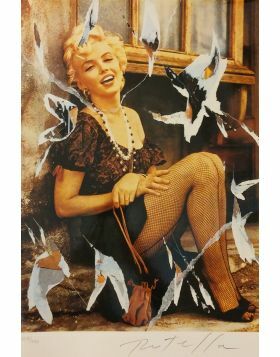 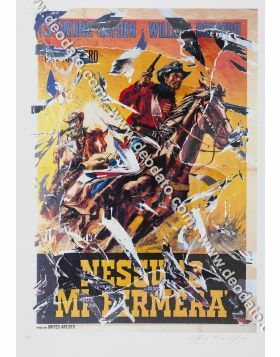 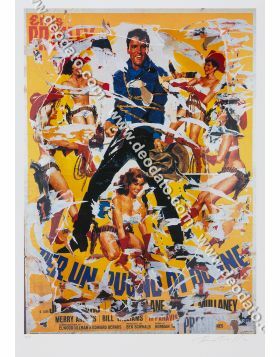 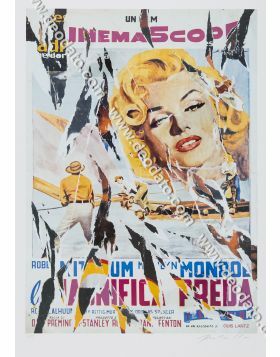 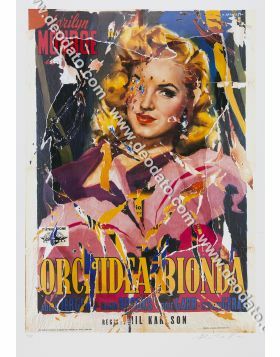 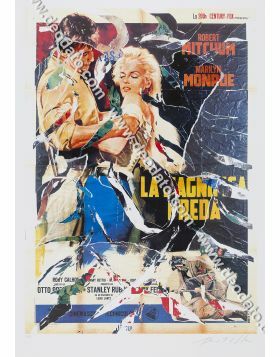 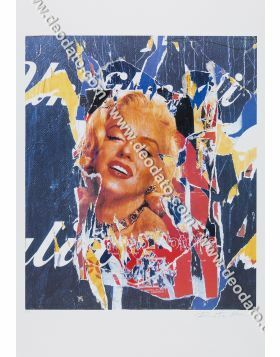 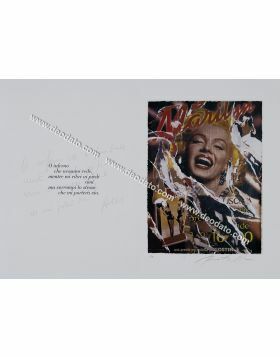 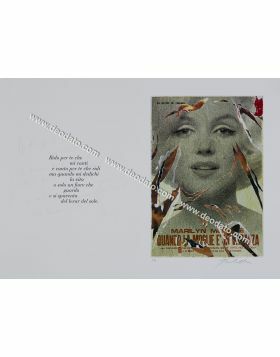 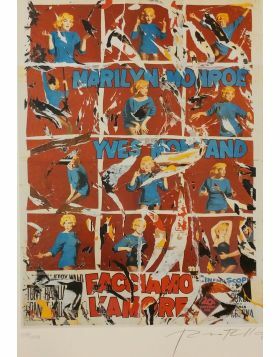 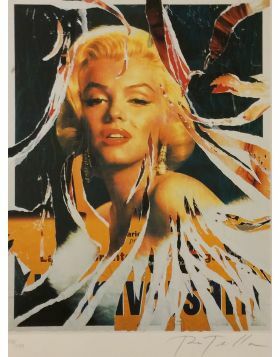 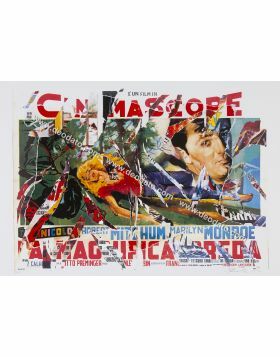 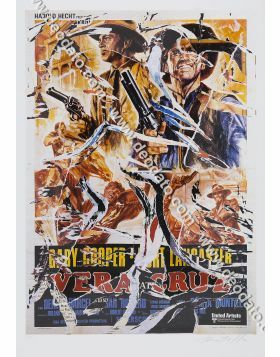 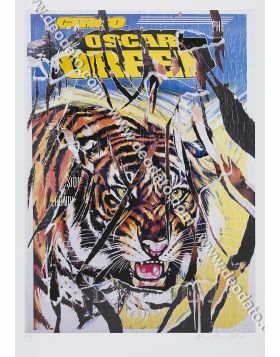 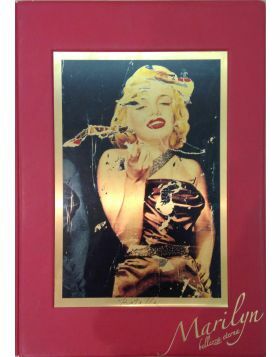 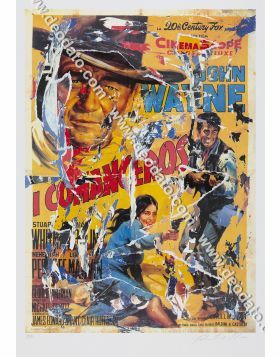 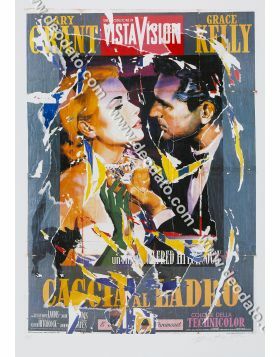 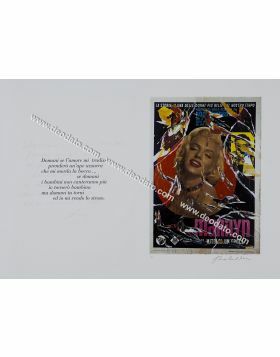 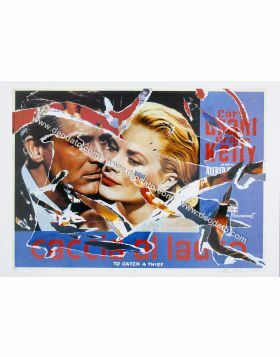 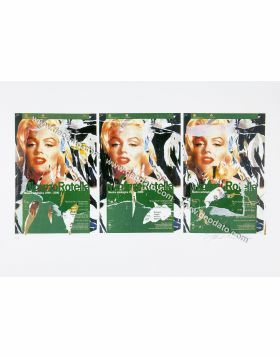 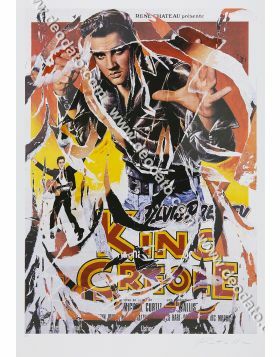 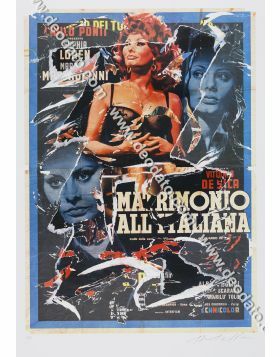 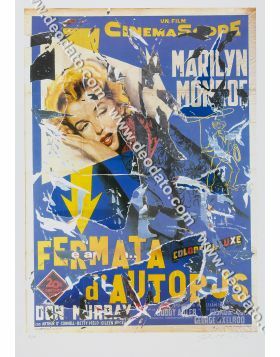 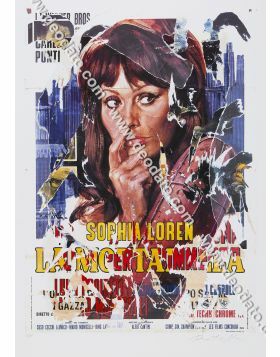 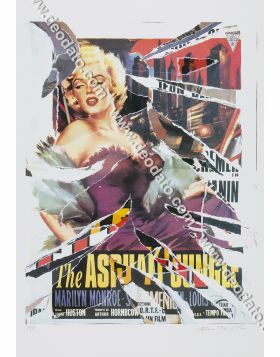 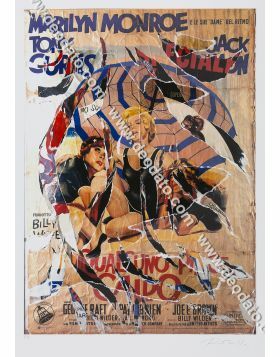 Décollage by Mimmo Rotella from the art book "MARILYN Bellezza eterna" (Marilyn Eternal Beauty), by Mimmo Rotella and Alda Merini, signed and numbered in original.